A bit of background: Mages and templars have been at each other’s throats for the past little while, with events literally exploding when Anders blew up the Kirkwall Chantry in DA2. In hopes of calming, if not resolving the situation, Divine Justinia V, head of the Chantry, calls the leaders of both parties together at a Conclave. But something goes awry and a giant breach opens up, killing all but one person, who now seems to have a strange connection to that breach. That sole survivor is me, of course, and step one is creating that main character, which is a process that requires much time and thought. Hair and make up choices are available to all characters. The blush just doesn’t work in sunlight, but her stubble is fantastic. I had initially planned to create a male character pretty much because I wanted to make out with Dorian Pavus, who is exclusively a male love interest. But my personal preference is to play female characters, so after tinkering around for a while, I finally settled on a female dalish elf mage named Lerenne. I also have a dwarf rogue named Mieke, but her make up looks totally different in the character creation screen than it does in the light. 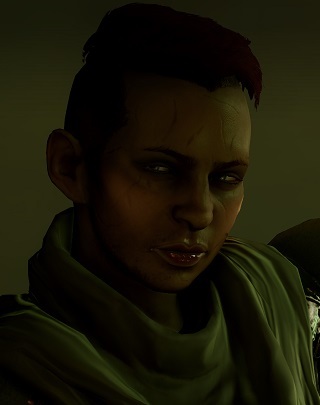 I cannot be running an inquisition if my make-up isn’t just so. 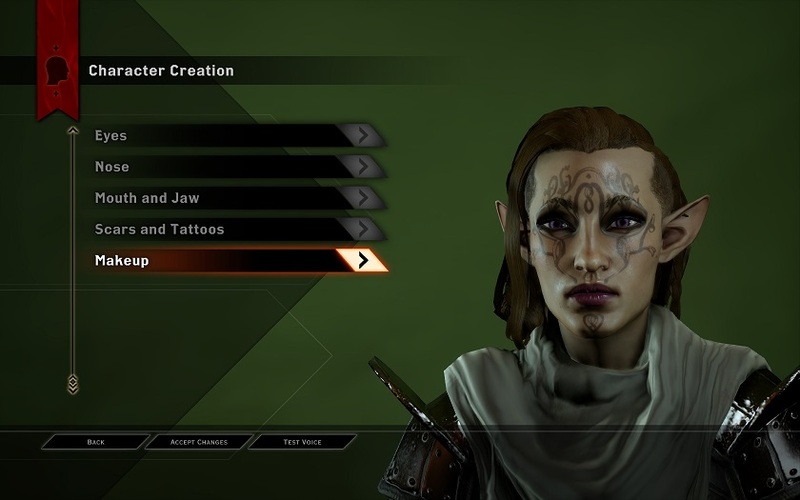 After recreating her three or four times in an attempt to get it right, I decided to leave her be for now, in hopes that BioWare will introduce an in-game character creation option that allows us to tweak appearances as we see fit. Of what little I did play of my dwarf, I liked her well enough. She is a sassy dual-wielding rogue, but the less shallow reason for setting her aside for now is that this game is a monster. There is just soooo much to do, thereby making me think long and hard about whether or not I will be playing through with a second character simultaneously, as I had planned to. It’s great to have the different race options available again, which is one of the things that made DAO so good. You can choose from human, dwarf, kossith, and dalish elf, and this can significantly affect how your character interacts with others, as does your class. If you choose a mage, consider the fear some people have of magic and its connection to the Fade, which is the residence of demons. I’ve heard complaints that the non-human races in DAI are a bit too humanized. In DAO, your dalish elf, dwarf noble or commoner, or your city elf come from the heart of their particular cultures and in some cases, are unlikely to have ever dealt with humans. My DAO dalish elf had many dialogue options that allowed her to show her suspicion and even hatred of humans. 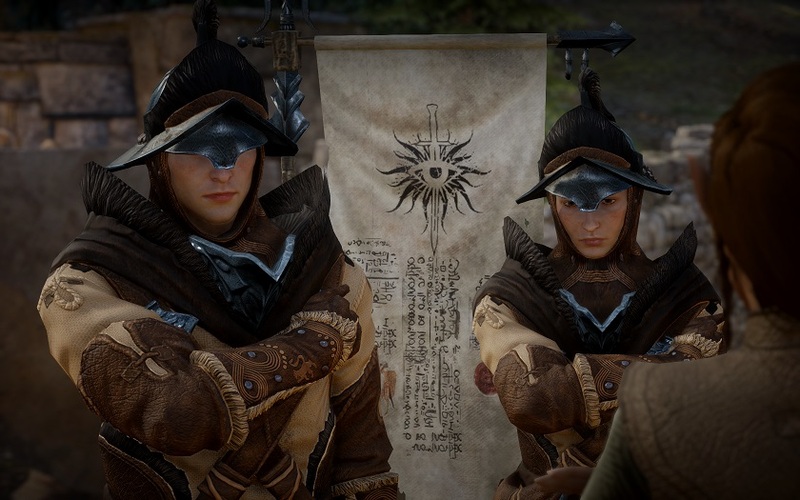 As I go along in DAI, bits of the codex reveal that my dalish elf comes from a clan that avoids human contact as much as possible, but is respectful to those they do deal with. As an apprentice to the Keeper, the leader of the clan, I can assume that Lerenne has enough intel and smarts to serve the role of spy that her Keeper had initially put her up to when sending her to attend the Conclave. Similarly, the kossith and dwarf options for DAI have backgrounds that deal with humans regularly. But the interactions with the non-player characters are where the racial differences come in. Some humans might mistake my dalish elf for a city elf, and use racial slurs or order her around. When speaking with other elves, dialogue options appear that allow me to establish my dalish culture, ideals, and beliefs – but also, interestingly, force me to question them, by presenting different viewpoints on events and practices. The Left and Right Hands of the Divine. Anyway. Completing character creation smoothly transitions into the opening cutscene where Lerenne escapes creepy crawlies and is rescued by a mysterious shiny woman. On the other side, she’s captured by the Chantry enforcement, led by the Seeker, Cassandra Pentaghast, who is looking for someone to blame for this, after spending DA2 looking for someone to blame for the mess in Kirkwall. Turns out, having a hand that glows the same bright green as the rifts that are presently spitting out demons and have killed everyone at the Conclave makes Lerenne suspect number one. Fair enough. But the connection to the breach is also, apparently, killing her. 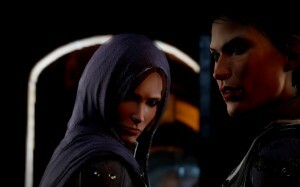 Where Cassandra is the Right Hand of the Divine, as appointed in the movie, Dawn of the Seeker, Leliana is the Left, who works in subterfuge and is a more subtle influence to Cassandra’s brute force. She reminds Cassandra that, guilty or not, Lerenne is needed, and so Cassandra frees my elf and together, they follow along to meet Leliana at the forward camp. 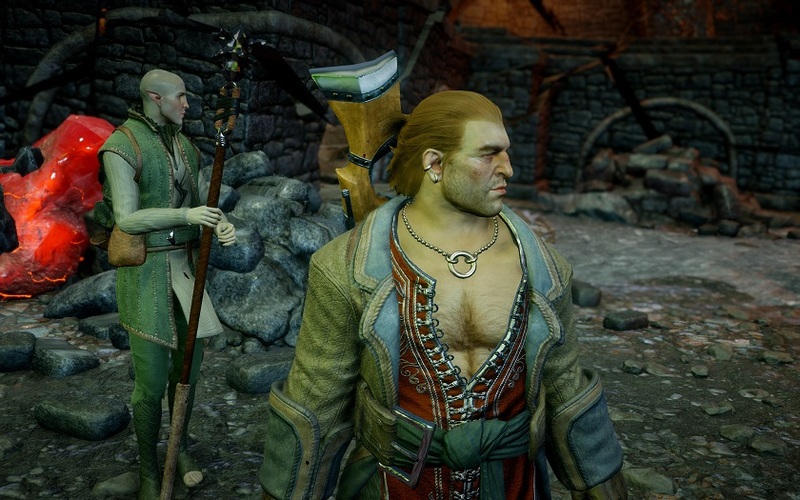 Rubbing Solas’ bald head or Varric’s chest hair is not a source of power, apparenty. A tutorial guides me toward my destination. Demons fall from the sky, and I pause to help a few others along the way. Enter Varric Tethras, the narrator of DA2. Yes, there was squealing from me and mention of chest hair when the dwarf rogue appeared with his crossbow, Bianca. This is a nice piece of consistency, as you learn that Varric is still bound to Cassandra, who was holding him for questioning in DA2. 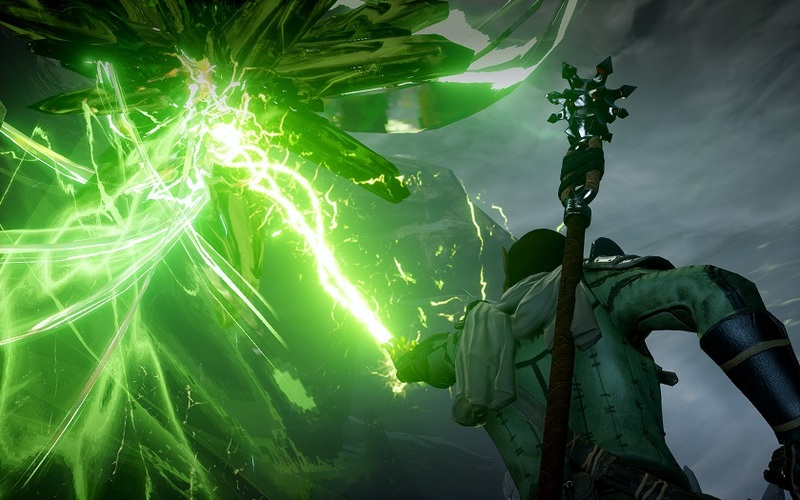 Also with them is Solas, an elven apostate (which is what the Chantry calls a mage running wild, rather than being locked up in a Circle tower for their own protection). 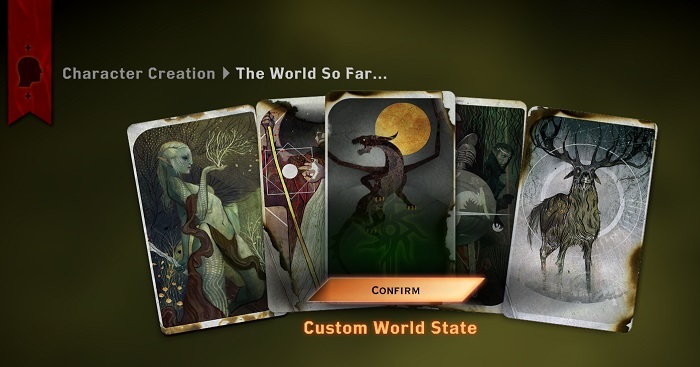 But Solas is very unique. He’s a learned man who frequently steps into the spirit-filled Fade to learn about the past through dreams. He is a sea of calm and knowledge, and correctly hypothesizes that Lerenne’s glowy hand can affect the many rifts we’ll come across in the game. Turns out, Lerenne can disrupt the rifts, as well as close them once the demons are defeated, something that will obviously be used often in the game. Now I have a party of four and the tactical camera is introduced. 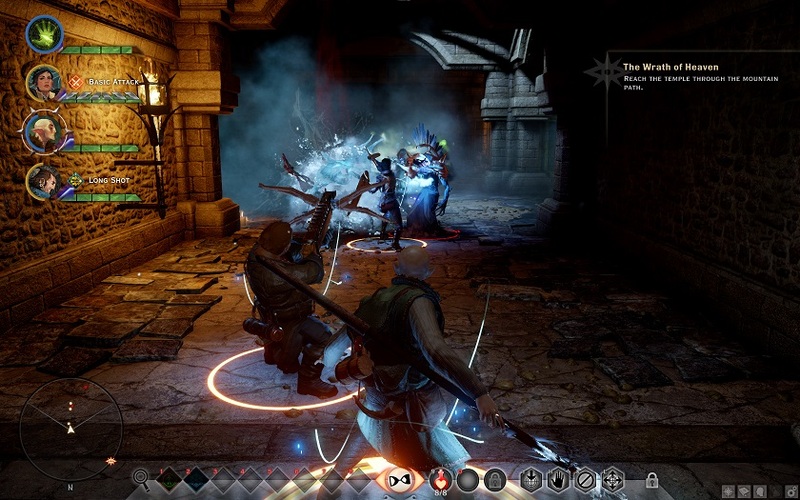 There have always been ways to control your party in Dragon Age, and you’re able to play as any of the four party members, if you wish. I’m playing on normal mode, which is a reasonable challenge – more so if you don’t bother to use your characters and tactics wisely. The companion characters are quite good at their jobs, but it never hurts to give instructions once in a while, especially with tougher battles. In other words, no button mashing. Also, the tactical camera is a great opportunity to pause for action screenshots and see just how badass your posse looks mid-battle. At the forward camp, Leliana is in discussion with, Roderick, a member of the Chantry who believes Lerenne to be the cause of this whole issue and wants her arrested. With the Divine dead and no one able to determine a course of action, Cassandra turns to Lerenne to decide the next steps: take the mountain path to the Conclave site, or charge forward. Both options will cost some lives, and both options result in the same location, but Cassandra’s approval will depend on your choice. Approval is a big thing with the companions. They will each react differently to your discussions with them and with your actions. In previous games, you could monitor their approval level and bolster it with gifts to counteract bad decisions. This time, there are no gifts to appease, and no way to monitor their opinion of you, save through listening to what they have to say and how they say it. Just like with their actions during battle, the companions are very emotionally intuitive, making them more and more realistic. If you want them on your side by the end of this Inquisition, it would behoove you to play nice. My journey takes me to the the ruins of the Temple of Sacred Ashes, the resting place of the ashes of Andraste, the chosen of the Maker, who was betrayed by her husband, etc etc. There, I discover the red lyrium that caused Knight-Commander Meredith to go mad in DA2, and hear the ominous voice of he who must be the cause of this mess. After a showdown with a pride demon, Lerenne wakes up back in the village of Haven and is told to report to Cassandra. There, she, Leliana, and Commander Cullen agree that the only way to resolve this whole demon breach business is to call an Inquisition, which is what the Divine would have done anyway in order to deal with the mage/templar war and restructure the Chantry. Now to go forth and gather allies to stop the end of the world. 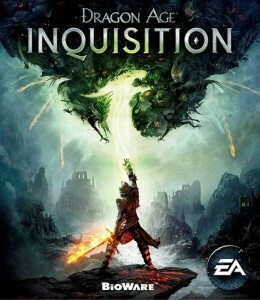 Sign up now for the Inquisition and receive a free pocket watch. But it’s not going to be easy. Defeating a demon and closing the local rift has half the folks praising Lerenne as the Herald of Andraste herself, but there are others who think otherwise, especially since she’s an elf and doesn’t even believe in the Maker and his prophet. And politics stick their ugly head into the mix, with talk of who will become the new Divine. Prologue complete (and by complete, I mean I did it three times, once with each of my characters), the world opens up for some serious exploration and ally gathering.